The demon-possessed baby yelled, "Feed the baby now you whore or we'll make him eat himself! Feed me. Feed Me. FEED ME! FEED ME! Feed the baby! NOW!" 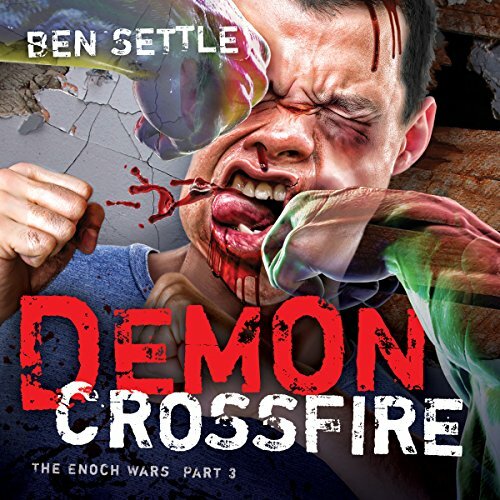 Demon Crossfire picks up where Vampire Apocalypse left off - with Azriel Creed being hunted down by a member of his own monster-killing race of predators. When Azriel discovers who sent the assassin, he decides to do some hunting of his own and track the mysterious man known only as "Roper" down. Meanwhile, two of the oldest and most powerful demons ever to roam the Earth have been released by the fallen angel Abaddon from their 2,000-year imprisonment in the Abyss. Their mission: To kill Azriel - called "Lucifer's Favorite" - once and for all. The result is a bloodbath of pain and violence as Azriel is attacked from all directions by demon-possessed humans, vile man-eating monsters, and the dark, fallen angelic powers who want him dead. Azriel's very soul is at stake this time. And nothing will be the same for him ever again. ©2015 Ben Settle (P)2016 MakeRight Publishing, Inc.
How to Make Maximum Money with Your Coffee Shop - Skyrocket Profits, Increase Customers, and Work Less!